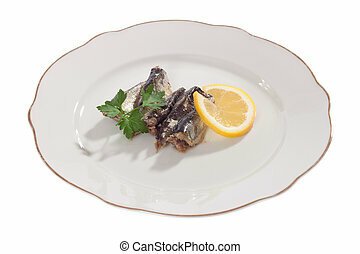 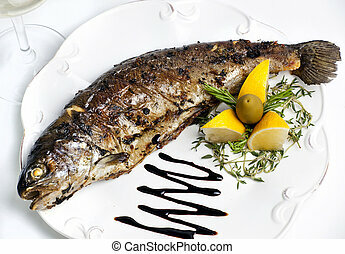 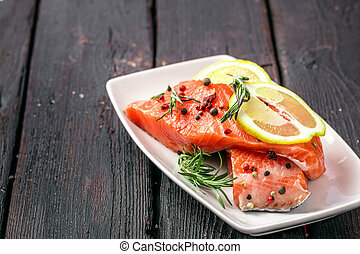 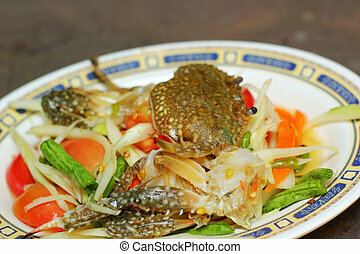 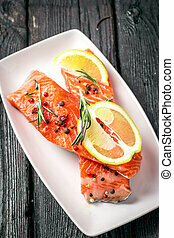 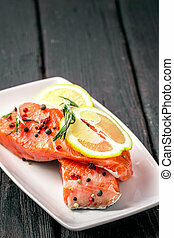 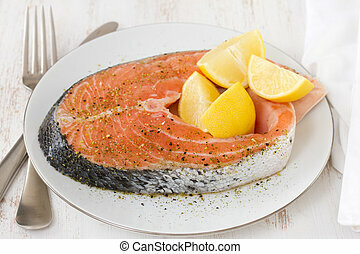 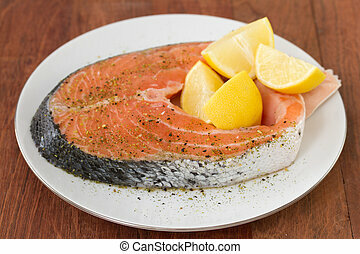 Fresh seafood with herb and lemon on a plate. 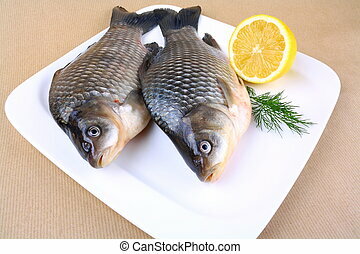 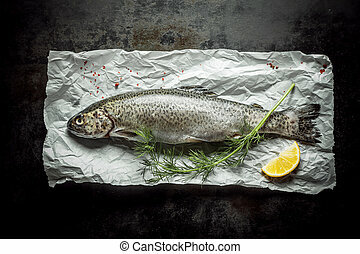 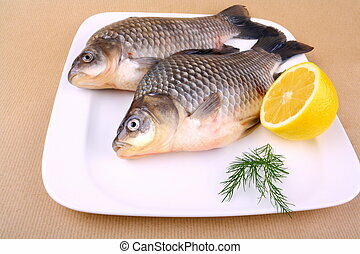 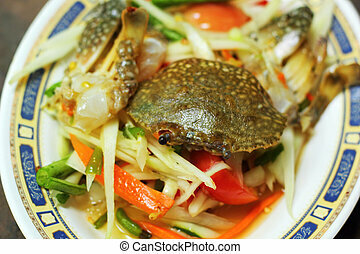 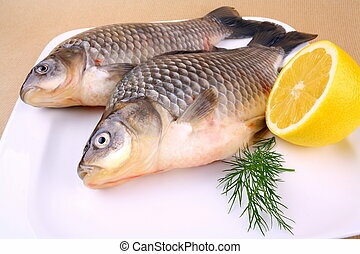 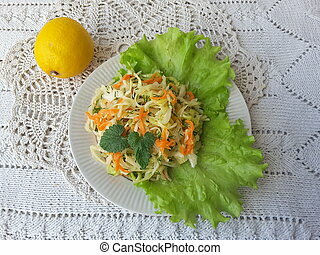 Close up Fresh Fish Meat on Top of a Paper with Green Herb and a Slice of a Lemon, Placed on Top of a Rustic Table, Captured in High Angle View. 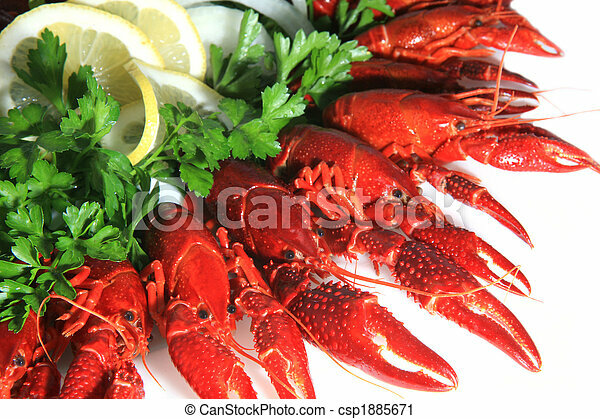 Seafood salad on a white plate. 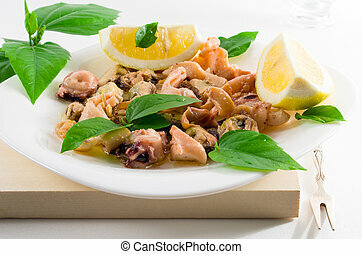 Mussels, squid and octopus decorated with herbs and lemon.